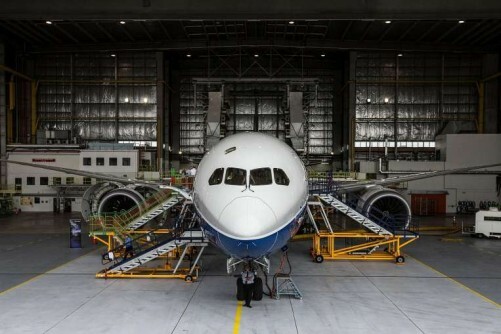 The aviation sector can now tap into a $100,000 training fund each year to ensure that workers are prepared to meet the industry's future needs. The SkillsFuture Study Awards - part of a national initiative to boost skill levels - will be administered by the Civil Aviation Authority of Singapore. Each year, 20 successful applicants will receive $5,000 each. There is no employment bond or any other strings attached. Announcing the new initiative yesterday at the opening dinner for the Singapore Airshow Aviation Leadership Summit, Deputy Prime Minister and Coordinating Minister for Economic and Social Policies Tharman Shanmugaratnam said that it is part of a programme launched late last year to support various growth industries. A total of over 1,000 study awards will be given out till the end of the year. Said Mr Tharman: "We know we cannot rely only on the education that people get before they get into a job. The skill requirements will keep changing while they are on the job, including the need for new competencies that help us make the most of new technologies." He added: "Wherever you start from, we will help you advance and keep re-investing in your skills." Developing talent and skills for the future is one of several strategies the Government is embarking on for the aviation sector, Mr Tharman said. It is a key sector, accounting for a sizeable 6 per cent of the country's gross domestic product, he said. Other areas of focus for the sector include aviation safety, promoting liberalisation and building enough capacity. On liberalisation, Mr Tharman pointed out that limiting air traffic rights and implementing ownership and control restrictions on carriers hurt the traveller by limiting choice and also hamper innovation among airlines. This is why Singapore has consistently taken a liberal approach towards competition and market access. "Our end goal is not the success of Singapore Airlines, but the vibrance of the Singapore air hub," Mr Tharman said. The aviation summit, which brings together transport ministers, key government officials and airline and airport chiefs, begins today. A record 150 VIPs are expected at the event held on the sidelines of the Singapore Airshow 2016.